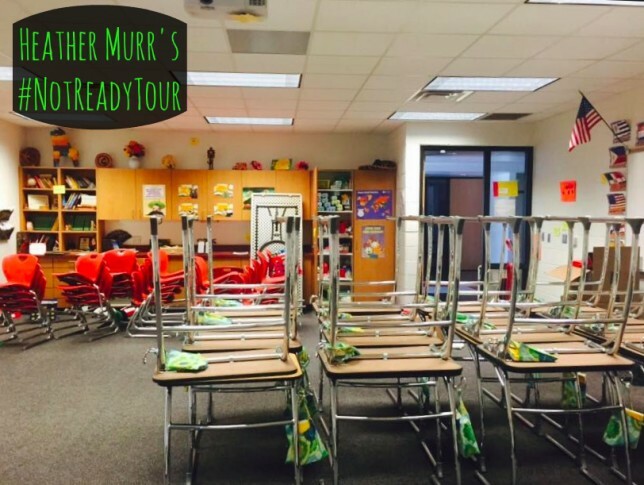 Heather Murr’s #NotReadyTour – Discover OklaEd! The first thing that struck me about Heather’s classroom was all the color! I may have painted my classroom black but my favorite color is rainbow. From the flags to the decorations on the high shelf, it looks positively festive. I would love to see a few pictures of the different ways the students use the room; it sounds so flexible. I am also dying to know what is in the white, green, and blue bags hanging off the desks? Can we get a close up?